Huoyanshan tunnel in Miaoli was constructed to lead debris flow across traffic road. As a result of the debris flow from mountain towards the vehicles, local people’s safety was seated in risk. 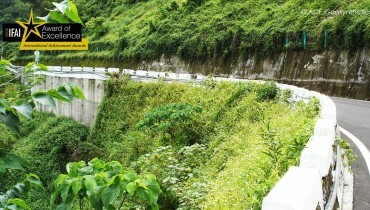 Due to length of tunnel was not sufficient, debris flow still obstructed traffic and created the inconvenience of life. The boundary of the conservation area was close to the proposed site of construction, which limited the available working space and the size of structure to be built. 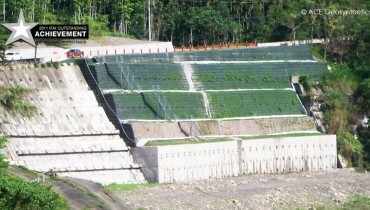 According to the construction history of the site, gabion and earth dyke were practically proven ineffective. Therefore, the Miaoli County Government wanted a different and effective structure to keep the debris in the basin; and access for debris cleaning must be considered in the design. Taking into account the disasters caused by the weather, it was necessary to find a solution to the problem. 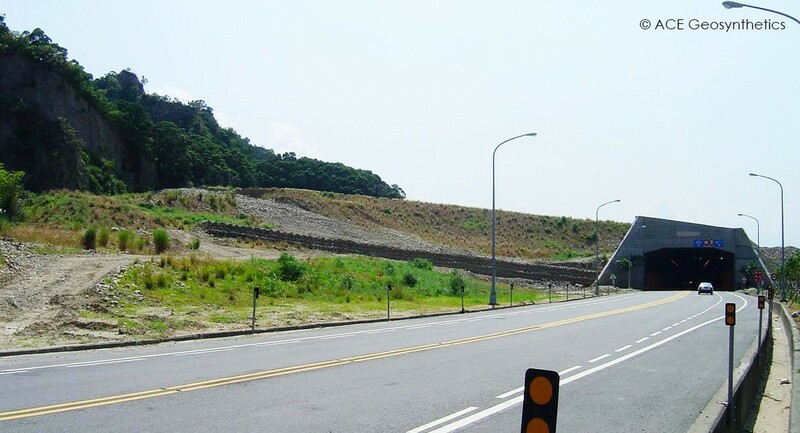 In order to reserve the nature of Huoyanshan, the design adopted reinforced embankment to lead the amount of debris to rock detention pond to ensure safety of people and vehicles. 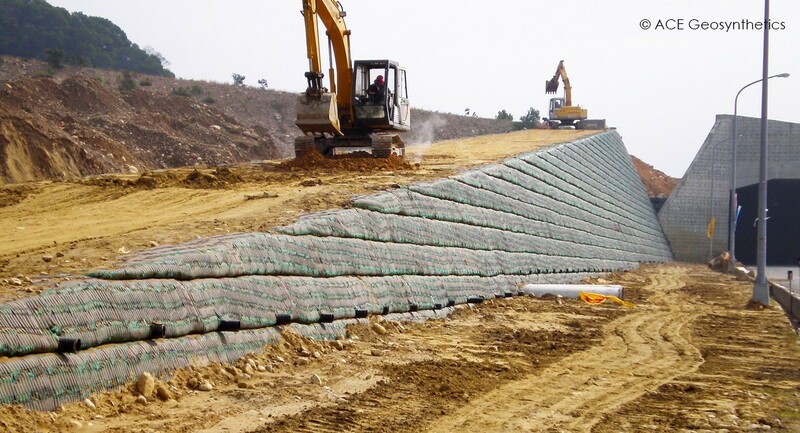 Additionally, the reinforced embankment facilitated maintains work of the tunnel for transportation of stone which obstructed the way of tunnel. 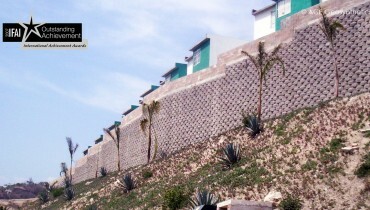 It has been completion of the project in February 2008. During this period over15 typhoons and heavy rain invaded the area, nevertheless the disasters did not affected the structural stability, moreover it can be seen a very good effect of vegetation. The overall condition of vegetation has been integrated and created an ecologically-friendly environment. 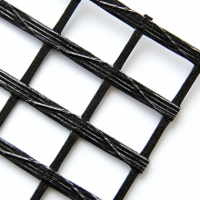 Natural propagation has vegetated and enhanced the appearance of the MSE embankment. 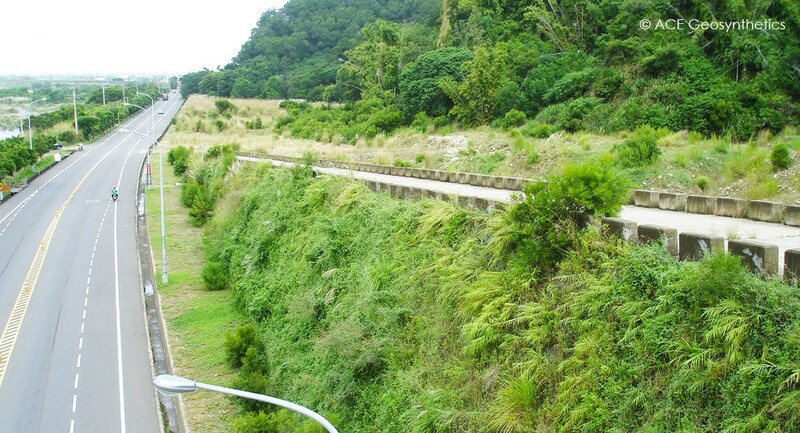 Over the years, the structure has experienced more than fifteen (15) typhoons and the debris flow caused by them. 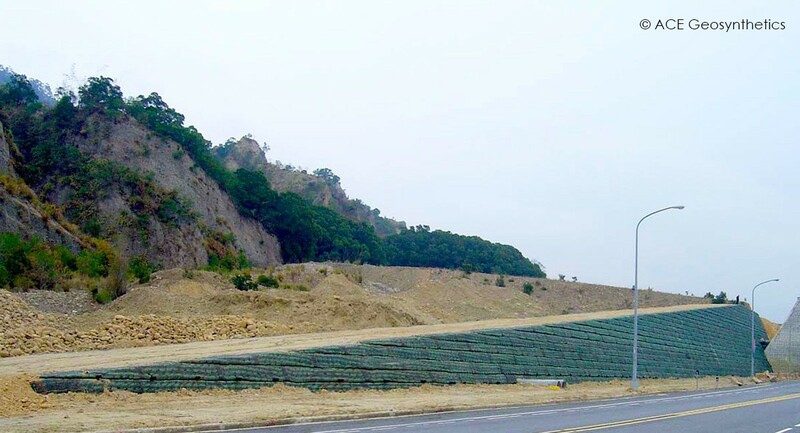 Its overall performance and current status proves itself an adequate and effective protection for debris flow.